Offer includes FREE Virtual Terminal for telephone payments, online payments, email and invoice links. Getting started is easy and only takes a few minutes. Simply sign up online for a Payatrader Account* and once your account is live, you can order the terminal(s) of your choice. These take 4-5 days to arrive and will be sent to your registered business address. 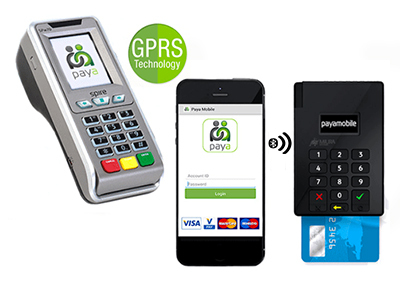 * Payamobile is brought to you by Payatrader.com. Please note the pricing on our website (www.payatrader.com) may differ as this offer has been specially created for Card Switcher customers. Prices exclude VAT. Amex is only accepted on the Spire terminal.